Started working in glass in 1969 at the California College of Arts and Crafts (now CCA) in Oakland, CA. 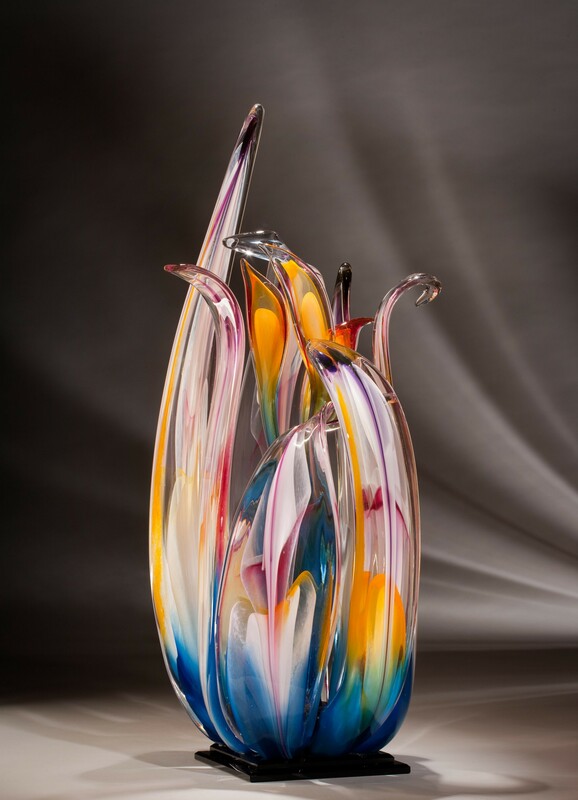 Randy Strong – artist and designer in hot glass for 40 years, has worked continuously throughout his career producing innovative designs in glass that continually influence the ever changing and growing community of studio glass artists. Randy is one of a handful of the early pioneering American Glass Artists to help define American Studio Art Glass. Before he was to enter the world of glass however, he began his broad education in the arts by working in and collecting photography. In the late 60’s he was working as an events photographer for the Oakland Tribune, and for a brief period, was privileged to work with and learn from photographer Ansel Adams. His first taste of working in glass came in 1969 at the California College of Arts and Crafts in Oakland, California where he began by studying ceramics and was fortunate to have as his mentor, the renowned ceramicist, Peter Voulkos. Upon graduation in 1970 he received one of the first scholarships to the University of Art in Osaka, Japan as one of the first exchange students between the Universities of Calif., Calif. College of Arts and Crafts, and Osaka, Japan. That grounding in ceramics led him into the largely unknown frontier of studio art glass. In 1970, he was with Dale Chihuly when Dale and the Haubergs selected the location for the now renowned Pilchuck Glass School in Seattle, Washington – and the journey into that frontier was well underway. 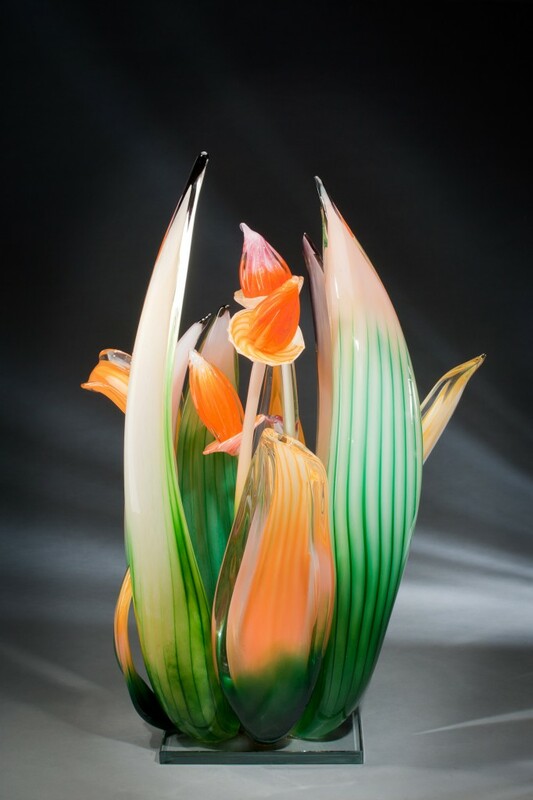 Many of today’s successful working glass artists are either former students, or have worked with or for him at one time. His work, ranging from his distinctive crystal and gold goblets and his ground-breaking work with dichroic glass, to his imposing cast sculptures, and now his seemingly gravity defying, color saturated, multi-piece sculptures, have been acquired by collectors internationally and are a part of collections ranging from The Corning Museum in New York, to the Louvre in Paris. Randy’s work through the last four decades has been characterized by the use of difficult, defining techniques, materials, colors and forms. His newest sculptural work again breaks new ground by challenging the concept of solid form in glass by further expressing its personality in lightness and movement. It is said that the artist’s heart and passion is reflected in their work. His new work does just that. In 1970, he established his own studio and gallery in Northern California, where he continues to create, design and teach.